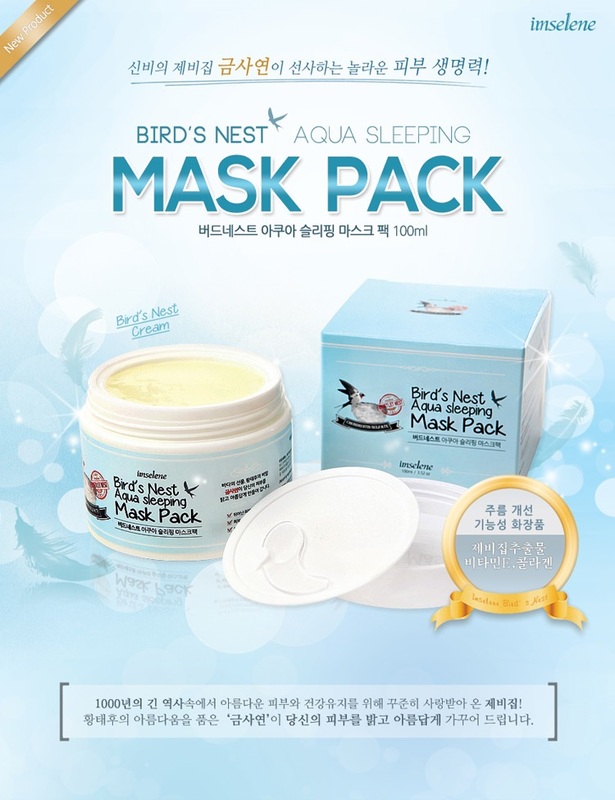 South Korean popular brand IMSELENE launched nest sleep mask contains precious nest extract, collagen and vitamin E, nutrient-rich, moist texture, add the necessary nutrients for the skin, repair damaged cells, effectively enhance skin elasticity and vitality! During sleep all night long-lasting moisturizing, skin cells continued to increase moisture, retain water, supple texture reply! Body wrinkle as well as help improve dull skin, more energetic! Is extracted from natural bird's nest made of gold, not only rich in collagen, more importantly, the bird's nest extract containing 50% of high-quality active proteins, amino acids and pectin, sugar, fiber, trace elements and more vitamins, which nest in the growth of skin cells contain two essential active protein is the key, is the ratio of its nutrients into conformity with optimal proportions of human skin cells required. Add to cosmetics, by painting directly into the skin cells, enhanced cell viability of renewable energy activation of skin function, skin basic quality improvement along with a variety of skin problems solved, and thus play a magical beauty effect. Natural gold bird's nest products, without any side effects, suitable for all skin types. Super Moisturizing effect, anti-aging anti-wrinkle, fade fine lines, pulling compact, repair damaged skin. Before sleep at night after thorough cleansing facial skin Apply evenly to the face, thickness according to personal preferences and, with proper massage helps the skin to absorb, Disposable based on individual circumstances. Can also be used as cream use.